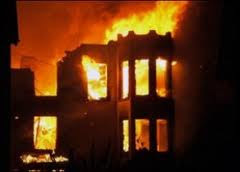 THERE was a minor fire incident on Wednesday at the Government House in Port Harcourt, the Rivers State capital. The incident was said to have happened at about 3pm at the Police Observatory located at the back gate of the Government House. A statement signed by the Special Assistant to the State Governor on Electronic media, Mr. Simeon Nwakaudu, indicated that the minor fire incident was caused by power surge. The power surge, according to the statement, led to the malfunctioning of an air conditioner attached to the police post. Nwakaudu pointed out that the situation was immediately contained by the fire fighters at the Government House, Port Harcourt. “Nobody was injured by the incident and government activities are going on unhindered. “A detailed investigation into the cause of the minor fire incident has been ordered by Governor Nyesom Ezenwo Wike,” the statement read.